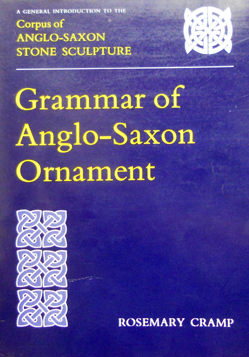 The Grammar of Anglo-Saxon Ornament by Rosemary Cramp was published as the General Introduction to the first volume of the Corpus in 1984 and separately off-printed in 1991. It is a key text designed to facilitate and assist all those working with Anglo-Saxon sculpture to use a common vocabulary and system of description. The Grammar includes a chapter on the techniques of carving and also provides a detailed classification of the type of ornament itself. The Grammar is now available for free download from this website. Click here to view a pdf copy.